Iconic "M.A.S.H." actor William Christopher has died at the age of 84. Christopher's agent Robert Malcom issued a statement that the actor died at 5:10 a.m. Saturday at his home in Pasadena, California. He also tells The Associated Press that Christopher's wife says her husband died peacefully. Malcom said Christopher was diagnosed with cancer more than a year ago and had been in hospice since the beginning of the week. He is survived by his wife, Barbara, and his two sons. 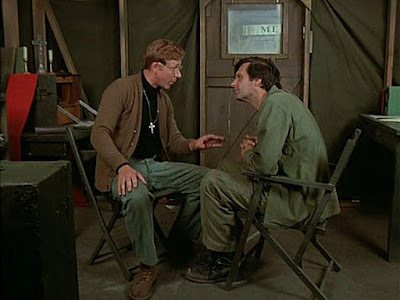 Christopher is best known for the role of Father Francis Mulcahy on "M.A.S.H.," the 1970s TV show set during the Korean War.